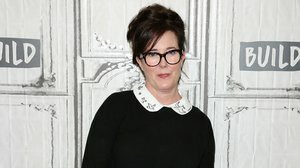 Kate Spade was found dead in her New York City apartment, the NYPD confirmed to Access on Tuesday. The iconic fashion designer was only 55 years old. Kate died of apparent suicide. According to the AP, her housekeeper found her hanging in her Park Avenue apartment and she had left a note. She is survived by her husband Andy Spade and her 13-year-old daughter Frances Beatrix Spade. Celebrity tributes poured in for the renowned fashion designer on social media.